Listening to the media pushed along by the Right wing’s insistence that Jared Loughner was a “madman” so hence his massacre had nothing to do with politics or right wing violent rhetoric is mind-boggling. One of the biggest indicators of psychosis is the belief that the people on TV and radio have a personal message just for you. And that means that violent paranoia spewed by Glenn Beck ... reaches the ears of the psychotic and explodes into a personal message, sometimes taken as directions even. The person suffering from the mental illness need not be political in order to get the message so carefully wrapped in layers of paranoia and fear. Jared Loughner’s YouTube videos were classic indicators of psychosis with his obsessions over grammar, mind control, currency, paranoia about “them” (government in this case) God, and other bizarre obsessions. 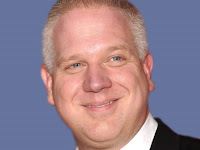 Does this exonerate [Glenn Beck]? Sometimes however, we can’t dismiss an idea or thought, we think about it all the time and find it distressing. When these beliefs are something beyond what people believe normally, such as the belief that our actions might be controlled by an implant, or the idea that people on the television or radio might be sending us personal messages, then we often call these psychotic beliefs or ‘delusions’. In reality it’s difficult to work out what the cut off is between a ‘normal’ belief and a ‘delusional’ belief as there is no clear divide. Usually how much you believe something, how much it seems based on reality, the level of distress and how much you think about it are used to decide whether there’s a problem or not. • Thoughts are being interfered with, this may include having thoughts put into your head or taken away. • That other people know what you’re thinking. • That people are out to get you (paranoia). • Personal messages are being sent via the television, radio or through newspapers or magazines. • That you are the centre of a conspiracy. • People are constantly watching you and might be recording what you do or say. • That you have an implant in your head or body. • That you are someone special e.g. Jesus, the Anti-Christ, a celebrity (or related to one), have unrecognised brilliance, special powers or gifts etc. Interestingly, people who are psychotic are not inherently violent toward others, however substance abuse significantly raises the rate of violence in people with schizophrenia — but also in people who do not have any mental illness. So how does this play into the notion that these psychotic madmen go around shooting people but are not influenced by their culture? It doesn’t. A specific form of psychosis is schizophrenia (though it should be noted that labels such as schizophrenia are utilized for diagnostic purposes and often over-used when they become the mental illness du jour; still the symptoms are real and hence the label of the illness is simply a way to distinguish the symptoms from other mental illnesses). Delusions are firmly held erroneous beliefs due to distortions or exaggerations of reasoning and/or misinterpretations of perceptions or experiences. Delusions of being followed or watched are common, as are beliefs that comments, radio or TV programs, etc., are directing special messages directly to him/her. To suggest that delusions are things that are not a part of our culture suggests that the belief is at odds with reality – but sadly, in our case, Glenn Beck is allowed to preach delusions to his audience every day. He preaches demonstrably false delusions about progressives being violent and out to get the Right, about the government coming to take all of his audience’s freedoms away, about currency, about Obama being like Hitler, and more. ...Beck ... regularly implement[s] rhetoric such as ‘socialism’ and ‘communism’ — dog whistle language for white supremacists about Jews and “others” taking over the country. None of these things has a basis in reality and as such, is not opinion but delusion. Allowing Glenn Beck to sell his delusions as reality every day on Fox News mainstreams these ideas until they are a seemingly legitimate belief system in a certain subset of the culture. Glenn Beck hardly exists in a vacuum. His words get repeated, his beliefs seep into the broader culture often unchallenged – and so what we have in effect is a subset of people who would have one of the largest symptoms of psychosis because they believe things that are themselves demonstrably false. At this point, his rhetoric has become dangerous. Although sadly, Beck achieved his mission long before that direct statement – for he is constantly warning his audience about how progressives, liberals and Obama are coming for them. He is the match to the psychotic’s already existing paranoia and he ... is also then the special message. If you pair that symptom up with the wide-spread pollution of paranoia carefully tended to by Beck ..., a dangerous marriage of psychosis with a carefully aimed persecution complex combine to form the special message for the already psychotic. So whether a person like the liberal church shooter read Beck (he did) and was a fan of Palin (he was), or the Tides shooter listened to Beck (he did),... or the Pittsburgh cop killer had just uploaded a Beck video (he had), or perhaps just heard Beck in their living room every night in the background or perhaps their father was a Beck fan and railed about Beck’s paranoid beliefs over the dinner table or perhaps he overheard others repeating Beck’s distortions of reality over the water cooler at work – he need not have a direct connection to Beck in order to be influenced by Beck’s deliberate breeding of psychosis as defined by a break with reality. In all of these ways, claims that because the shooter was a “madman” exonerate Glenn Beck ... are exceptionally disingenuous. Beck ... speaks to the already at risk, stoking the paranoia and fear each and every day, deliberately and with malice. [He is] actually breeding armies of mentally disturbed people who are no longer in touch with reality. This is very dangerous. Then, with words about “taking them out”... and relentless messages of imminent danger at the hands of these enemies, Beck ... [has] lit the match under the already psychotic and in some cases, actually caused the break with reality that brought about the psychosis. Beck's ... words do matter, they have taken root in the culture, and as such, they have created a subset of people who are not dealing with reality. When you add their violent, irresponsible rhetoric to this mix, you will eventually get violence by their foot soldiers. It is inevitable, it is predictable, and it is reprehensible. When the next shooter goes off, having spewed the exact right wing, white supremacist, and anti-government paranoia as repeatedly sold by ... Glenn Beck..., must we be sure to immediately protect those who will be blamed? Is it more important that they not be held falsely accountable or get their feelings hurt than that we have a civil society that operates in reality? The fact that we, as reflected by the mainstream media, have chosen to value ... Glenn Beck’s feelings over reality and over a civilized society is distressing and alarming. No one is suggesting that they pulled the trigger. But their incendiary rhetoric is a contributing factor and this cannot be denied. Just how many more lone gunman — “bad apples” — would you say they have left in their deliberately created culture of the delusional? How "psychotic" are some of Beck's followers? From Glenn Beck dot com last week is this gem from "helennanney:" I mentioned the millitary may have to take over while we make the necessary change to another leader. WHY: because Obama has already signed on with the UN for them to police our streets, and he is in bed with the moslem brotherhood and the unions to stir up the mobs. We do not want a blood bath on our shores. The millitary we have are true Americans and can stop a blood bath, and protect our people along with the police, until a change is made. IKe was one of our best Presidents. He was a faithful American, and an ex general. "iamroar76" posted this: We have also become a nation of nothing but TALK, TALK, TALK and it is, past the time, that we ALL, find what we can DO, DO, DO (NOW), to save this country. Maybe we all have a little bit of G.W.s Liberty Spirit, sleeping in our souls, and if we keep waiting for someone else to fight our fight, than this country is surely lost. NOBODY CAN STEP ON YOU... IF YOU STAND-UP... AND... 'NOBODY'... CAN TAKE "LIBERTY'S AMERICA" if "WE THE PEOPLE"... awaken our souls... AND STAND UP AND FIGHT!!! 1. Start: by using the internet--- to find out how to dismiss, impeach, arrest...whatever it takes, to get these crooks out of Washington and into jail, where they belong. American citizens are going to have to do this, because elected officials are all afraid to touch this. 2. Do SOMETHING today! Townybill made this comment: "I think Trumka and Stern have been in the White House more times then Obama himself." From Beck's "News" site, The Blaze dot com comes this comment on a story about Professor Francis Fox Piven by "kickillegalsout:" "The progressive scum doesn’t have many places to hide anymore now that we have put the light on them they are having to come out of the shadows and show who they are and once they do the American people can see how these people are nothing more than traitors to this country and a danger to society! Maybe soon she will be fired from her political science and sociology position at CUNY Graduate Center! We don’t need radical revolutionaries brainwashing our kids!" Texascommonsense added on the same story about Piven: "I would be in favor of pouring 100 year-old Kentucky whiskey on her if it would get rid of this hag. It would truly be a waste of great distilled spirit, but it would certainly be worth the cost." Also on the same article about Piven at TheBlaze.com is this from "HistoryGuy48" posted with no intended irony: "This marxist is a bitter woman. Her whole life she has worked to “give” the dumb American citizens a wonderful, golorious marxist system of government. After all the years of “educating” students to become idiots (marxists), all the speeches, etc, we dummies still aren’t buying their nonsense. Shame on us! We should be burning down cities, blowing up whatever rioting, etc. because, by now, we cattle should believe in what they are selling. The problem is that while perhaps 25% are cattle (we all run into the idiots every day), 75% are not cattle. Of that total, some are “useful idiots” and the rest of us actually have some idea of history and realize that what they are selling is truely THE BIG LIE." Please show an example of when Glenn Beck ever spouted a white supremacist ideology like you mentioned in the above article? For your information, the KKK was formed by Democrats not Republicans and it was the Democrats who were against civil rights for blacks and it was a Democrat who filibustered in the Senate in an attempt to prevent the Civil Rights Act from being voted on. You'd better open up your eyes to where the racism in this country truly originates before making any further comments on the subject. I don't care who formed the KKK. YOu don't read very carefully. His rhetoric about communists and socialists serve as dog whistles to the white supremacists who are in Beck's audience. Read it carefully: ".Beck ... regularly implement[s] rhetoric such as ‘socialism’ and ‘communism’ — dog whistle language for white supremacists about Jews and “others” taking over the country." http://www.sharethisurlaboutglennbeck.com/2011/01/glenn-beck-and-his-chalkboard-save-real.html for more on this perspective. Beck is not in bed with the KKK, but he sleeps in the adjacent bed over.